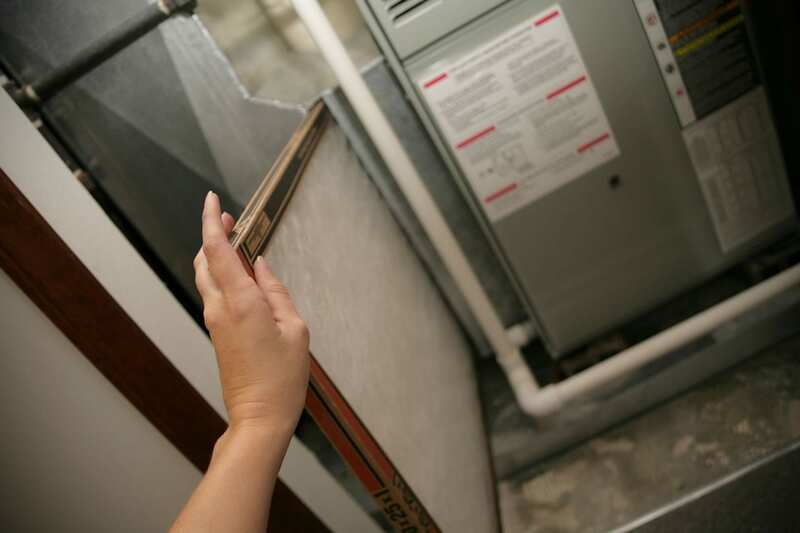 When furnace filters get dirty, they can affect your entire HVAC system’s performance. A quick way to check whether a filter replacement is due is by holding up the furnace filter to the light—if no light filters through, the same can be expected for the flow of heated air. Furnace filters typically need replacing once every three months. Dirty filters not only reduce your furnace’s efficiency, but they also increase the risk of operational defects occurring. We provide clear and concise written assessments of our analysis of your furnace to help guide you through the easy maintenance practices you can perform to keep it running optimally. Apart from helping you understand the condition your furnace is in, our maintenance recommendations will guide you towards a more energy efficient HVAC system, and this will be reflected in your future energy bills. Midlothian furnace repair experts can fix the underlying problems to your furnace’s inefficiencies, and this includes the cluttering and clanking noises your furnace may be emitting. Having your furnace fine-tuned by pros improves the efficiency of your entire HVAC system. What this means is that you will enjoy cleaner, fresher air as well as superior heating during the cold months, and drastically reduced utility bills. Even though your furnace will not last forever, you can certainly extend its lifespan by requesting regular tune-ups from our technicians. Remember that most manufacturers void warranties on furnaces that do not receive proper repair and maintenance checks periodically. A well maintained furnace can last anywhere between 10 and 18 years before needing to be replaced. Worried about finding cost-effective furnace repair services in Midlothian? There is no reason to be. Our services are high quality, but they are also very budget-friendly. We strive to provide cost-effective furnace repair services to our clients because we understand how nerve-wracking it can be to have your furnace break down just as winter comes rolling in. So don’t wait for the cold months to place your call. Contact us today, and we’ll have our experts working on your furnace right away so that you and your family can stay warm and toasty even as the frigid seasons begin.